A familiar name for a bold new look, the All New Toyota Corolla family’s eye catching design and sporty profile will give unrivalled driving experience through better dynamics and exceptional responsiveness. Available with hybrid technology, the All New Corolla will give you fuel efficiency and lower CO2 emissions combined with the power you need for your journey. All New Toyota Corolla will be in Toyota showrooms from February 2019. The new Corolla meets all the requirements of daily commutes and weekend leisure journeys, offering driving enjoyment in all road conditions and the peace of mind with the low running costs that come with Toyota’s hybrid electric technology. Toyota has more than 20 years of hybrid technical leadership and has amassed more than 12 million global hybrid vehicle sales – including 1.5 million in Europe. The Corolla will be available in three body styles; Hatchback, Touring Sports Estate and Saloon. 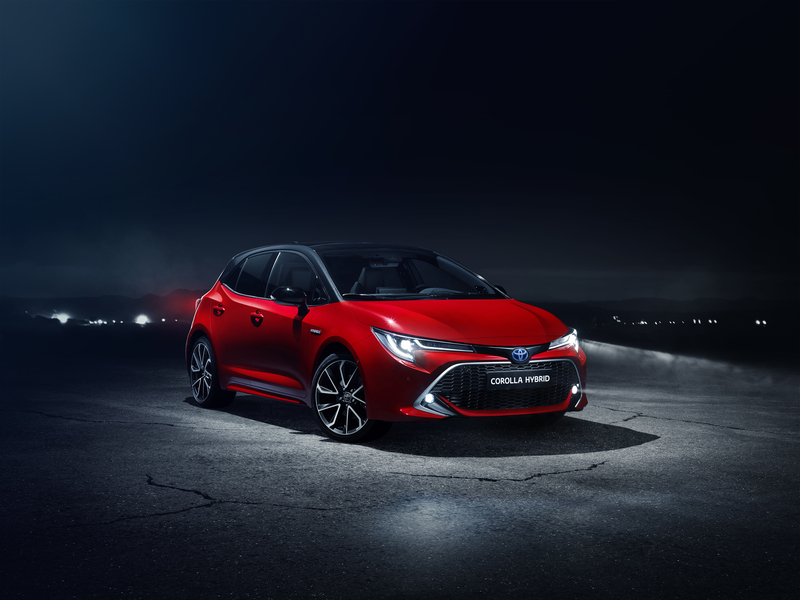 All three cars will have the 1.8 litre self-charging hybrid engine for a supremely smooth drive while the Hatchback and Touring Sports will also offer a new 2.0 litre hybrid packed with dynamic possibilities. Strong industry reviews on the New Corolla are already starting to appear. Auto Express declared the Corolla “Toyota’s most convincing family car in a generation”. You can find out more about the All New Toyota Corolla online at RRG Huddersfield Toyota. Alternatively you can call RRG Huddersfield Toyota on 01484 467 756 or visit their showroom on Leeds Road, Huddersfield.